These lesson plans were created by Tennessee teachers for Tennessee teachers. 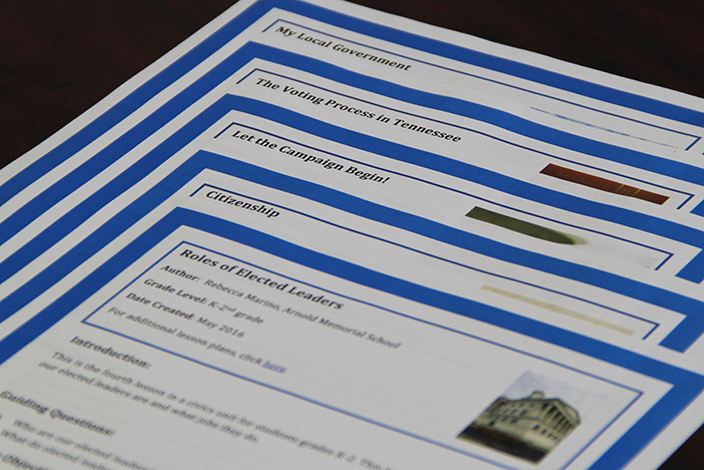 The goal of these lesson plans is to allow teachers, with an emphasis on social studies, to easily incorporate aspects of civic engagement and citizenship into their current curriculum. We also encourage teachers outside of the social studies subject matter to use aspects of these tools in their classroom as well. Teachers can use these lesson plans and adapt them to fit their classroom needs. Click here for more teacher resources from the Secretary of State’s office.